When I interviewed Street Fighter IV producer Yoshinori Ono last year about the game, I was on the Street Fighter wagon. Fight club free for more years than I could remember. Despite a heavy addiction to the game back in the Street Fighter II days, the growing complexity of the franchise, the increased focus on combos over tactics had lost me. And I wasn't the only one. Ono told me that this was a game meant to win me and people like me back. Controls It only takes a moment with the game, a decent stick in hand, to know that this is a Street Fighter returned to its roots. A game more about tactics and timing than combos and flash. The finesse of Street Fighter is what drew me to the franchise and what has mostly certainly brought me back. Art: The chunky, hand-drawn look of the characters gliding back and forth across a 3D background is initially stunning. Once you've grown use to this new look of the game you'll start to notice the little things, like the spray of ink during some special attacks and the full glory of Ultra Combos. Old Characters: The cast of returning characters for this latest fighter is a nice mix of Street Fighter II and Street Fighter Alpha characters, perfect for the audience Capcom is trying to win back to the franchise. New Characters: While most of Street Fighter IV's new characters are a bit too King of Fighters for my taste, they do offer up a nice selection of new moves and fighting styles to a game that for some leans too heavily on tradition. Online Multiplayer: So far my time spent with the game online has been glitch free. I've had no trouble finding people to play against and no lag in matches. The lack of lag is the key, of course, to making this a game worth buying, not just renting. Before and After Cartoons: While I slowly grew to like the animated cut-scenes that kick-off and wrap-up the arcade mode for each character, the art style falls flat compared to the rest of the game. Seth: The final boss for any game needs to deliver, not just in punishing attacks, but in design and style. Unfortunately, Seth is a wreck, a surprisingly generic character made up of cheap attacks and fatal flaws. Defeating him is often more about pinning him down with fast attacks or lobbing off lucky heavy strikes, than it is about tactics and timing. Character Unlocking: It's bad enough that Street Fighter IV requires you to unlock more than a third of the playable characters, but to make you beat Seth each time to do it is a painful and frequent reminder of the game's poorly designed character. Despite a reborn addiction to Street Fighter, my love of this new game isn't without some reservations. Seth, the sloppy cut-scenes and unlockable characters aside, I wish more was done to make this game, when played online, feel like an arcade experience. While the online play has so far been trouble free for me, it still feels very much like the isolated, lonely experience it is. We need rooms to watch bouts in and chat while we wait to play. Maybe a digital quarter to slap on a table for next game. When played with a top fighting stick, Street Fighter IV is a game that delivers on all of it's promises. It returns the franchise to the days of glory, bringing with it's change in tactics an intense new look that highlights the best of the fighting franchises. Can you play it with a standard controller? Sure, it handles as well as any fighter does with a controller, but personally I can't play Street Fighter that way. 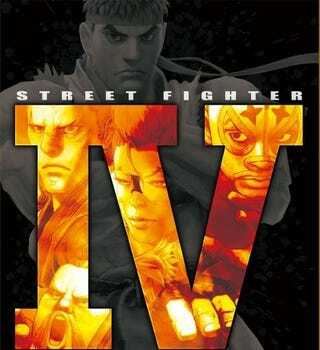 Street Fighter IV was developed and published by Capcom for the PlayStation 3 and Xbox 360. It was released on February 17, for $60. Played arcade mode on the Xbox 360 and Playstation 3 to completion with seven characters, played multiple versus mode, and network battle sessions. Completed several challenges.